A photograph of William B. and Margery Bowersock Dalton's children. 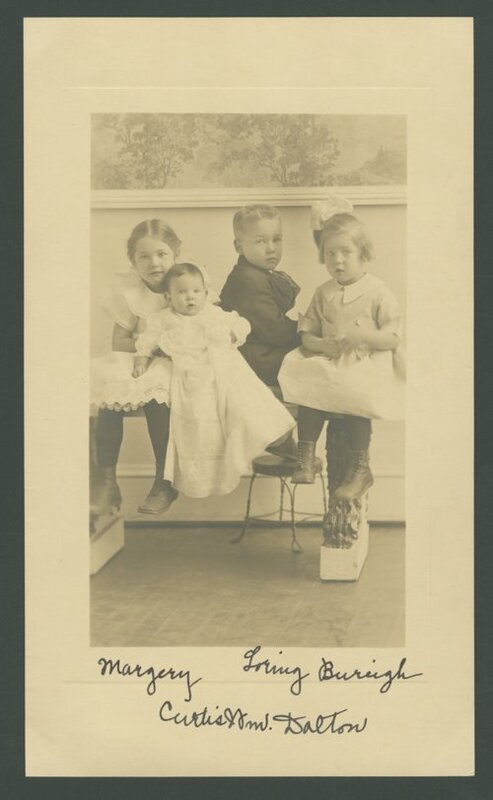 The children are (left to right) Margery J., Curtis W., Loring D., and Mary B. The family lived in Lawrence, Kansas.